and are still doing... you are causing us pride"
Abbas and PA leadership endorse riots and their continuation: "We have supported you in what you have done and what you are doing. 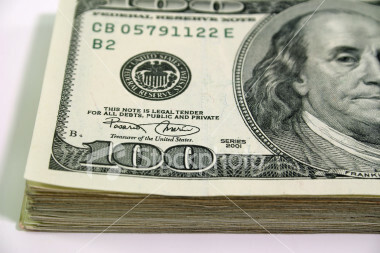 We are with you in everything that you have done and are still doing." Abbas praises Palestinians for "taking care of your Al-Aqsa Mosque, your land, your dignity, your people, your religion, and your holy sites." 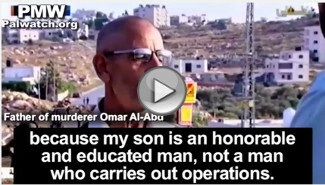 Father of terrorist who stabbed and murdered 3: "My son is an honorable man, not a man who carries out operations... This happened because of the occupation and what it has inflicted on the Al-Aqsa Mosque." Since Israel tried to change the situation, the [Palestinian] residents of Jerusalem have risen as one (they launched violent riots -Ed.) You have objected to all of the [Israeli] steps, and we have supported you in what you have done and what you are doing. We are with you in everything that you have done and are still doing, as you are causing us pride, and you are taking care of your Al-Aqsa Mosque, your land, your dignity, your people, your religion, and your holy sites. This is the response to everyone who wants to harm our holy sites. Jerusalem is ours. It is our capital and it is [under] our sovereignty, and therefore what you [Palestinians] are doing is right." As Palestinian Media Watch has reported, PA and Fatah leaders have ignored the fact that it was an attack on July 14 in which terrorists shot from the Temple Mount plaza, murdering two Israeli border policemen, which brought about the installation of the new security measures. Instead, they have accused Israel of "escalating" and "harming the holy site." Abbas and other PA and Fatah leaders present the riots as a justified "defense", reinforcing the old PA libel that Israel is plotting to destroy the Al-Aqsa Mosque in order to build the "alleged Temple." Abbas' Fatah Movement also emphasized the message of danger and the supposed need for Palestinians to come to the rescue of the mosque in distress by posting the image above of a clenched fist surrounded by flames, and the statement: "At your service, O Jerusalem, At your service, O Al-Aqsa Mosque." Since July 14, 2017, violent riots in Jerusalem are not the only thing to have happened. On July 21, 2017, a Palestinian terrorist stabbed and murdered 3 Israelis while they were having dinner in their home in the Jewish town of Halamish near Ramallah. Palestinian Media Watch has shown that the lack of condemnation by PA leaders of this murderous attack constitutes a silent approval of it. 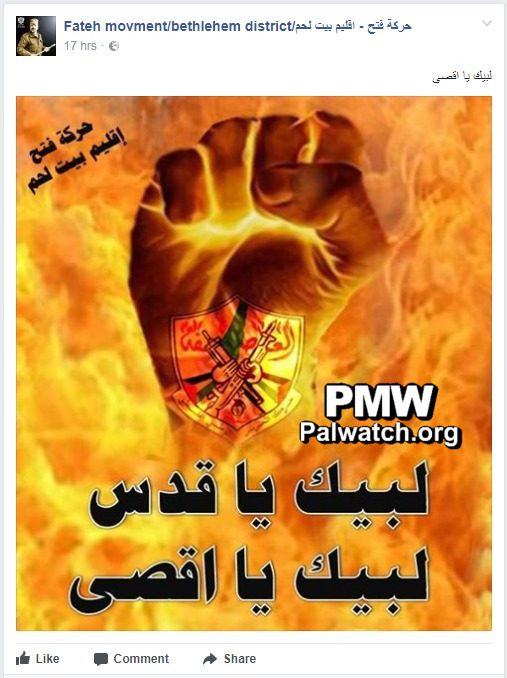 Posted text: "At your service, O Al-Aqsa Mosque"
The image shows a clenched fist surrounded by flames. It has the Fatah logo on it that includes a grenade, crossed rifles, and the PA map of "Palestine" that presents all of Israel as "Palestine" together with the PA areas. Text on top: "The Fatah Movement Bethlehem branch"
Headline: "The [PA] president in a meeting of the [PA] leadership: As long as the situation in Jerusalem does not return to being as it was before July 14, , there will be no changes whatsoever; to the residents of Jerusalem: We are with you in all that you have done and are still doing, as you are causing us pride and you are taking care of your Al-Aqsa Mosque, your land, your dignity, your people, your religion, and your holy sites"
PA Chairman Mahmoud Abbas' mention of the situation in Jerusalem since July 14, 2017, refers to Israeli security measures at the Temple Mount following an attack there on that day in which 2 Israelis were murdered - see note below. On July 24, 2017, Israel started to remove the metal detectors and security cameras from the site, but the PA continues to demand all measures including inspection at the entrances be removed.